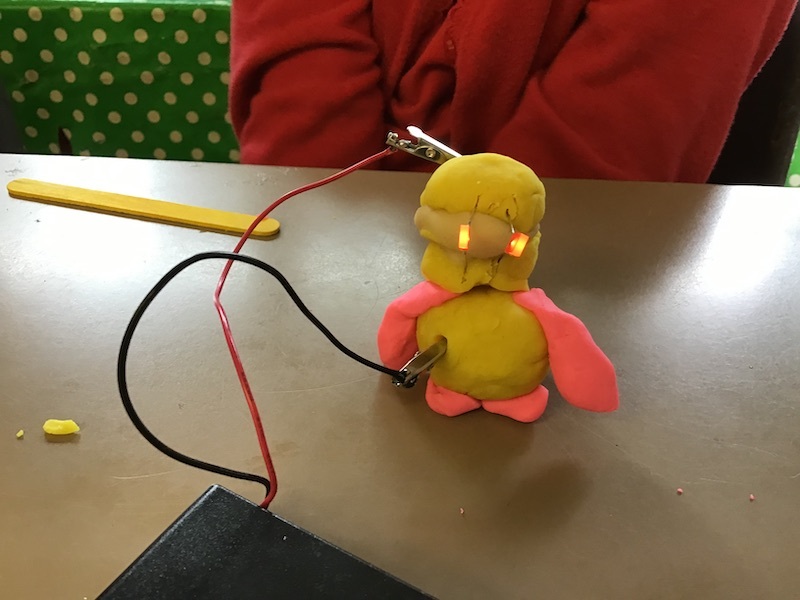 We recently had great fun delivering a ‘squishy circuits’ workshop at Yatton Infant School. 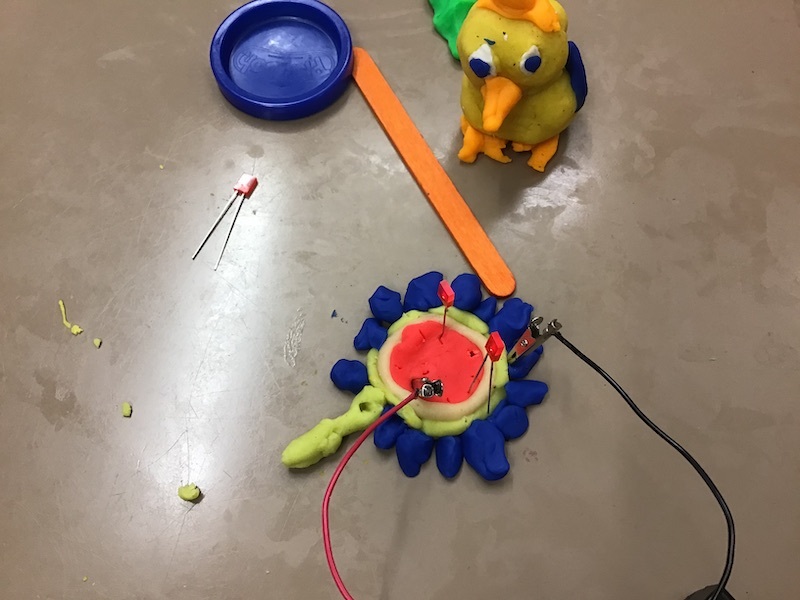 This workshop was designed for Key Stage 1 children, and as part of their STEM extra curriculum activities. 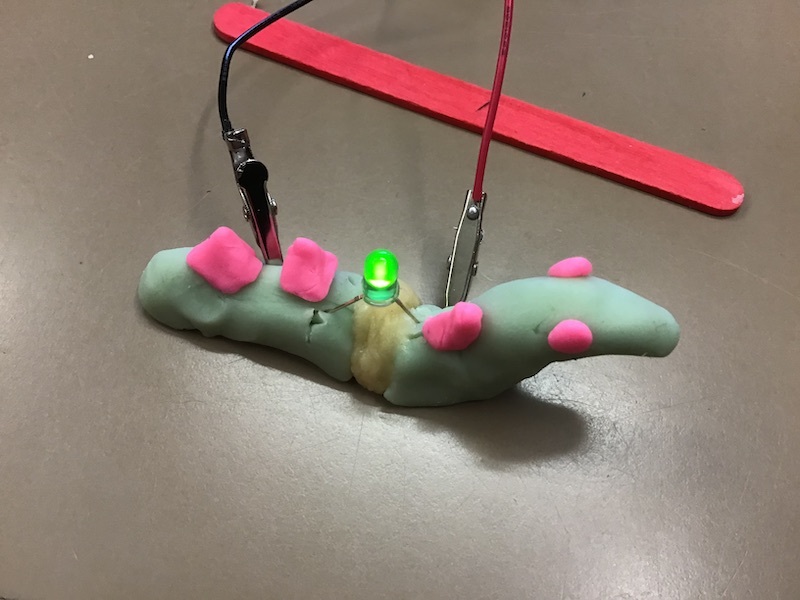 ‘Squishy circuits’ teaches the children about conductive and insulated materials, and about electricity. 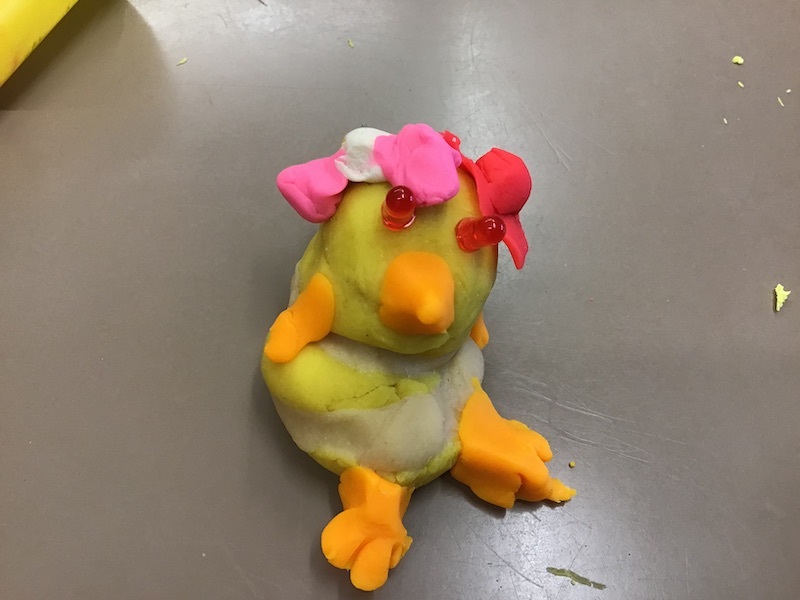 Using my home-made conductive and insulated play dough(! 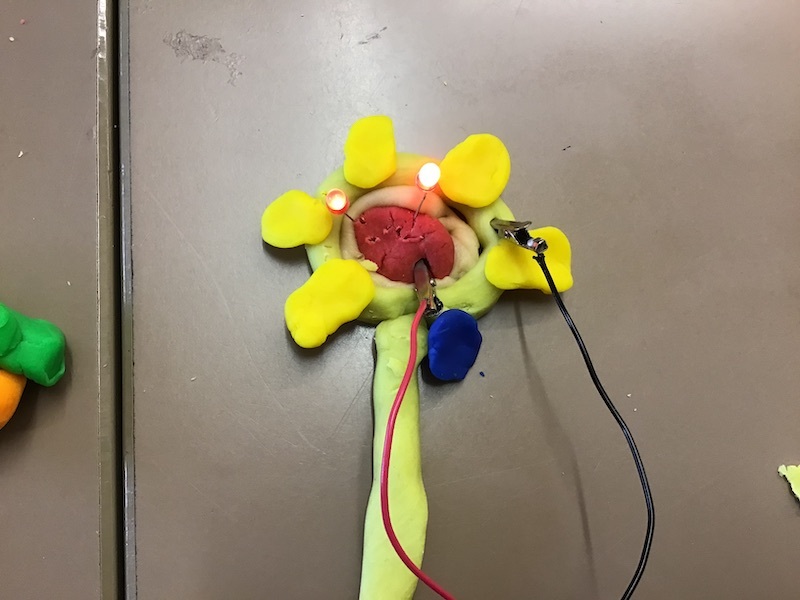 ), the children constructed basic electronic circuits with their fantastical creature-creations. 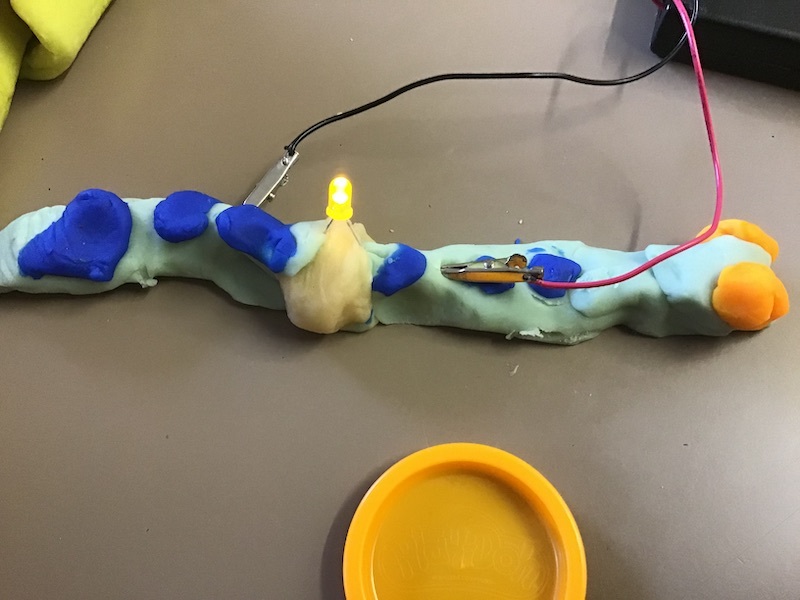 I loved the fact that the children were very keen to understand about LEDs, quickly learnt about their ‘polarity’, and applied this effectively on every single project they made. 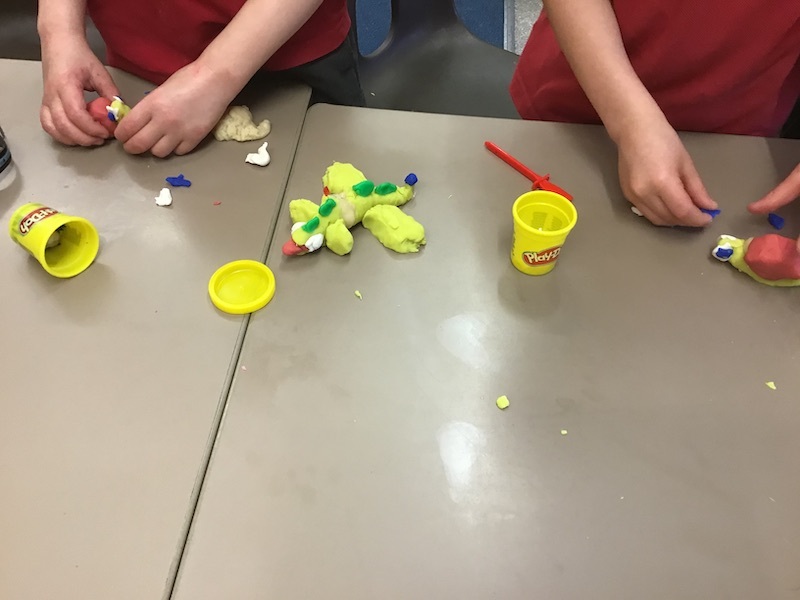 Play dough is an excellent material for introducing the children to the world of electronics and we certainly had four playful (and messy) afternoons.